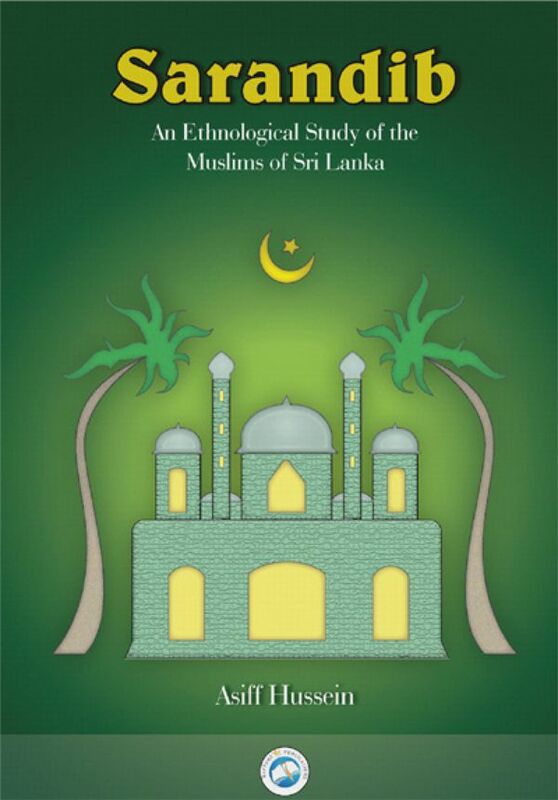 Sarandib – An Ethnological Study of the Muslims of Sri Lanka by Asiff Hussein is a book worth reading by both Muslims and non-Muslims, academics as well as general readers who would like to know all about the country’s Muslims. What is particularly noteworthy about this work is that the author has not only dealt with the ethnicity and culture of the country’s major Muslim group, the Moors, but has also given due attention to the other Muslim groups such as the Malays, Memons and other groups of Indian origin such as the Sammankarar, Faqirs and Osta. As renowned scholar Dr. M. A. M. Shukri observes in a foreword to the work: ‘It is by far the most comprehensive multi-disciplinary study of the country’s Muslim community undertaken to date, encompassing physical anthropology, linguistics, social organization, cultural traditions and religious and folk beliefs’. 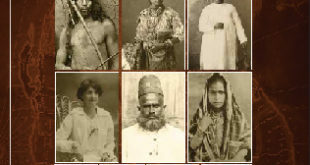 In the first part of this work which is devoted to the Moor community, he traces in great detail the origins of the Moors, contending that the nucleus of the community has its origins in the early Arab settlers and traders who chose to settle in the country, espousing local Sinhalese and Tamil women. To this end, he has drawn upon anthropological, textual and epigraphic evidence. He has also sought to show that the Moors, descended as they were from Arabs hailing from Iraq, Yemen and other parts of the Arab world were originally an Arabic-speaking people and that it was only after the 13th century with the fall of the Abbasid caliphate to the Mongols that they came to speak Tamil as their home language, largely facilitated by increasing dependence on their Tamil-speaking co-religionists from peninsular India with whom they had established strong commercial links. Hussein has also dealt with the peculiar dialect spoken by the Moors in the South and Western parts of the country known as Sona Tamil as we as with their now largely forgotten literary heritage based on Arabu-Tamil, Tamil written in Arabic script. He then goes on to deal with the settlements of the Moors, showing how such settlements would have originated and the factors that would have influenced settlement patterns. 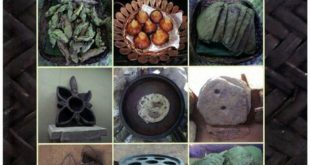 Hussein also deals at length with the social customs of the community including birth and childhood, marriage and funerary rites as they prevail in different areas, showing how some have a religious basis while how others have been influenced by external factors. He also deals with dress and ornamentation and culinary habits as it prevails in the community at present and as it prevailed in the past, drawing upon oral traditions and literary sources to reveal some rare insights into these aspects of life. He has shown how diversely the Moors have been influenced in their attire and ornament and food habits which betray not only Arabian, but also a strong Hindustani and Dravidian influence. The medical remedies of the community have also been covered and includes details of Unani prescriptions as well as handy medicines known as kai-marundu. The chapter on occupations is also very illuminating and shows how the Moors of old made their living not only as traders and gem merchants, but also as seafarers engaged in maritime commerce, hunters, farmers, fishers, masons, carpenters and medical men. The author also delves on the religious beliefs of the community, dealing not only with the basic tenets of the faith, but also with religious currents such as Sufism and Salafi revivalism and with beliefs pertaining to the jinn, evil eye, Adam?s Peak and that mysterious personage known as Khidr or ‘The Green One’. The second part deals with the Malays and shows how the community has its origins from the nobles and soldiers brought hither by the Dutch from Indonesia, though some had their origins from the Malayan Peninsula as well. Their distinct speech, social customs, attire and culinary fare have also been dealt with in great detail. The third part of the work deals with the little known Memon community which has its origins in the Kathiawad Peninsula of Gujarat. The speech of the community as well as their distinct social and cultural practices as well as their commercial life have been recorded in detail. Finally the author deals with other groups of Indian origin including the Sammankarar or Coast Moors who hailed from various parts of the South Indian coast, the Faqirs who originally hailed from peninsular India with later accretions from other local Muslim communities and the Osta who have traditionally performed such duties as ritual tonsure and circumcision and who constitute a sort of caste group, intermarrying among themselves. Hussein must be commended for having undertaken the extremely valuable and time consuming task of gathering rare information from diverse sources which involved a number of field visits and interviews, particularly with elderly folk who still preserve memories of their former lifestyle and traditions, some of which no longer exist. He has also undertaken an extensive survey of old records such as the Dutch tombos preserved at the National archives and other institutions which relate to the social and economic life of local Muslims centuries ago. Thanks to his efforts, much valuable information about the past social, economic, cultural and traditional life of the country’s Muslims which would have otherwise disappeared unrecorded have been saved for posterity. Thus Hussein’s study should help preserve the colourful cultural life and rich heritage of the island’s Muslims, particularly in the context of a fast changing social life as a result of the rat race for survival under the current globalised open economic set-up. The work is illustrated with 32 colour plates including some rare photographs such as old photos of the different Muslim groups, Arabic inscriptions found in graveyards, an old Arabu-Tamil newspaper titled kashfur raan an qalbil jaan, a surattu toppi formerly worn by Moor gentlemen, antique jewellery including a rare savadi necklace and even some kris knives used by the Malays of old. The book is available at Vijitha Yapa, Lake House Bookshop, Sarasavi Bookshop and Bookshop. Sarandib is indeed an invaluable contribution to the Muslim community. Since many Muslims are now turning towards English medium education, Sarandib, I am sure will find the place it deserves in the homes of Muslims of the future. May Allah shower you with good health and peace of mind to carry on your good work. I have just finished reading Sarandib, and I am most impressed with the amount of research you have undertaken. Congratulations. There’s a saying in Tamil which asks the reader ‘does a flower shop needs an advertisement?’There are flowers that’ll capture your eyes with their beauty and there are some that will captivate your senses with their heavenly smell but it’s rare indeed to find a flower which will simultaneously invade your senses as well as your heart. I consider Asiff Hussein’s Sarandib to be a rare blossom that mesmerizes you with its lyrical beauty and the purity & integrity it contains in each page. The shelves are already packed with books on the history of Sri Lanka, and there are many more to come. But it is a sad fact that if you search for a book on the Sri Lankan Muslims and their huge contribution to the society, you’ll find only a few outdated & out of print versions. Praise be to GOD, Sarandib is a massive compendium of facts that tracks the origins of Muslims of Sri Lanka and then deals with their culture & customs. The approach that Asiff has taken here is markedly different from that in the previously published books, however. It is far more comprehensive and inclusive. In this outstanding book, Asiff brings vividly to life the traditions of the Sri Lankan Muslims. Asiff sacrificed nearly six years of his life being away from his loved ones most of the time to bring forth this extremely valuable and precious book. The design of the book, not least the wonderful images that fill its pages, is central to its appeal. While some of the photographs are familiar, many are not, and it is these frozen frames of a lost world that are so arresting. Sarandib is impressively accomplished in terms of research and narrative. The erudition and depth of understanding of this book make it worth reading for everyone. This book has much to offer the scholar and general reader alike. 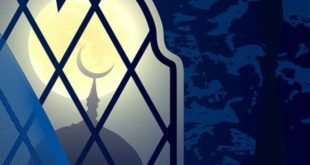 Written with flair, Asiff’s take on the Muslims of Sri Lanka is likely to have more impact than his duller peers on our perceptions of Sri Lankan Muslims’ possible future.